Looking for the perfect gift for the beaded father in your life this Father's Day? Oh, this laser made wooded comb keychain is totally Adorable! Custom engraved with your choice of words would make a perfect gift for the bearded dad for Father's Day, Birthday or the holidays. 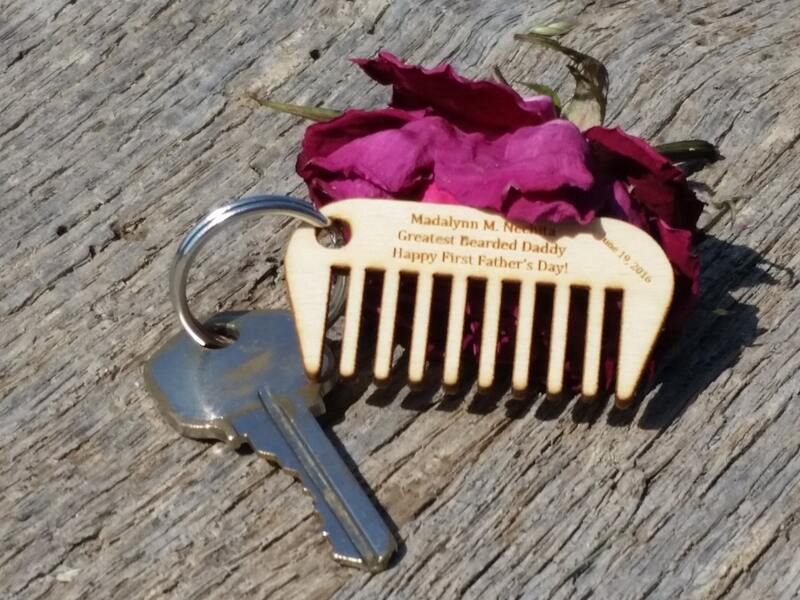 They can actually use it as a beard/ hair comb, as a key chain, car mirror charm or a beautifully crafted keepsake. Size: 1.87" x .89 "